A fully automated, parameterised expert advisor that generates trades based on ADX and RSI values with ATR to set Stop Loss & Take Profit. 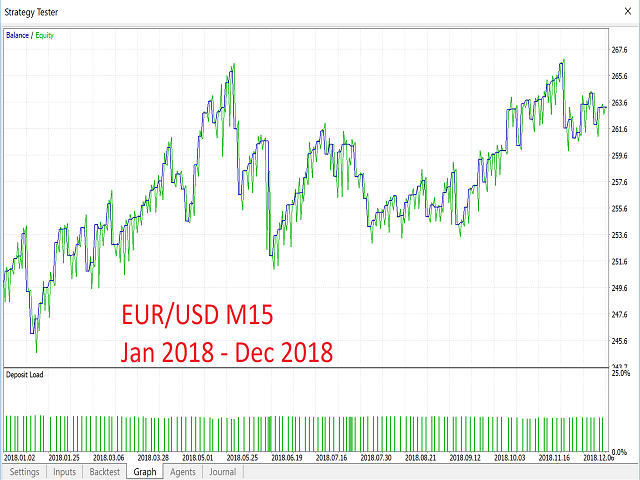 MaxSpread - the maximum allowable spread when opening and closing trades. LotSize - hard coded lot for all trades. RSI1 - fast moving RSI. RSI2 - slow moving RSI used for confirmation on RSI1. RSIRising - low point to calculate RSI break through point. RSIFalling - high point to calculate RSI break through point. ADXRising - value to calculate ADX break through point. 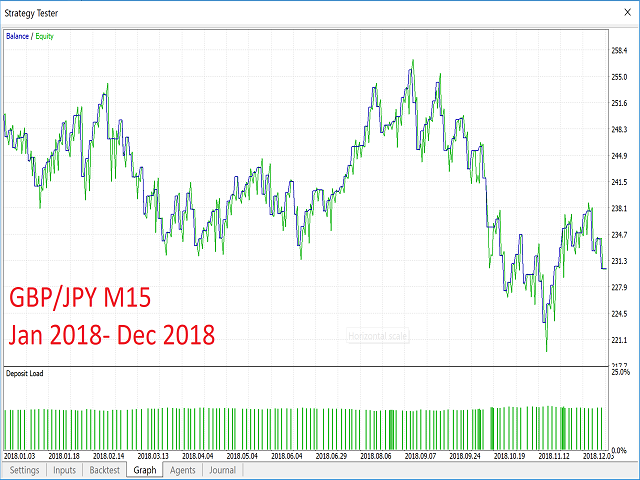 SLMultiplier - Stop Loss ATR multiplier. TPMultiplier - Take Profit ATR multiplier. TPPoints - fixed number of points to Take Profit. Set to 10000 to exclude. SLPoints - fixed number of points to Stop Loss. Set to 10000 to exclude. 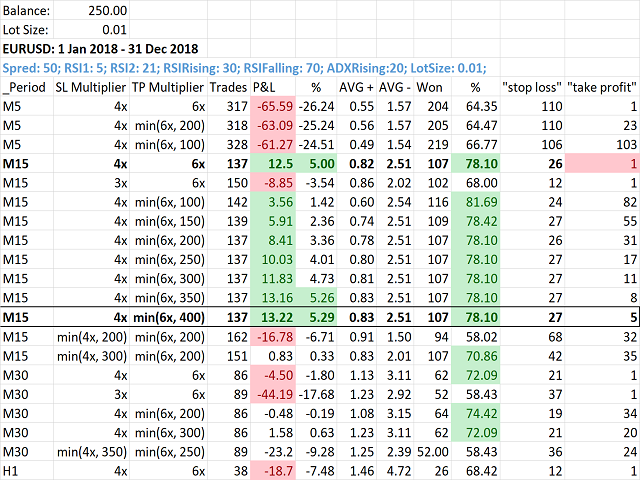 RSI1 breaking through RSIRising and RSI2 has been below RSIRising within the last 4 candles, ADX is above ADXRising with +DI above -DI and rising. TP: ATR x MIN(TPMultiplier, TPPoints). 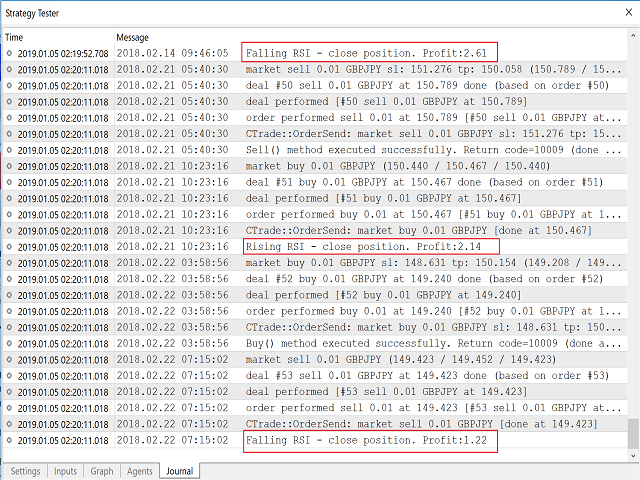 If RSI1 rises above RSIFalling before trade closes, breaks back through RSIFalling and is in profit - close the trade early. 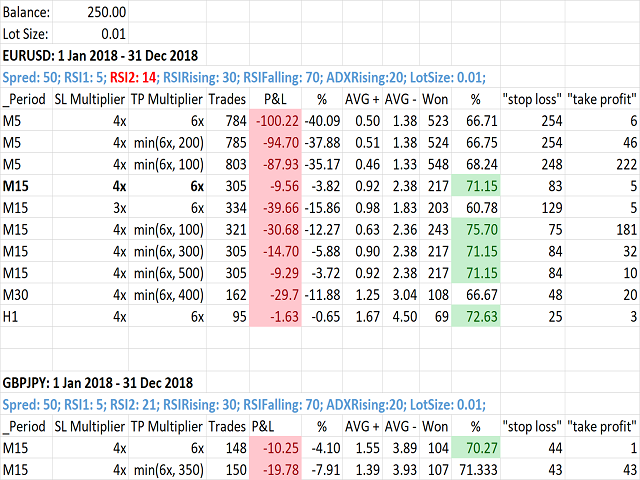 When RSI1 breaking through RSIFalling and RSI2 has been above RSIFalling within the last 4 candles, ADX is above ADXRising with -DI above +DI and falling. If RSI1 falls above RSIRising before trade closes, breaks back through RSIRising and is in profit - close the trade early. I'm keen to develop this further and welcome any and all comments. - Shifted RSI analysis back one bar to allow for confirmation of direction. - Added Upper Falling and Lower Rising RSI band. Signal created when RSI starts above / below new band and breaks through the existing band. - Added buy / sell / both mode with individual parameter sets for fine tuning. 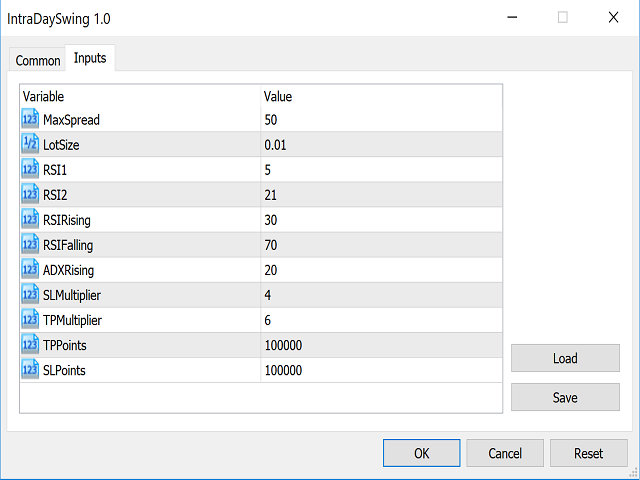 - Add parameters to allow trailing stops based on a multiplier of ATR or a set number of points. - Add parameters for an anchor chart for a different period and only Buy / Sell when flags aligned.